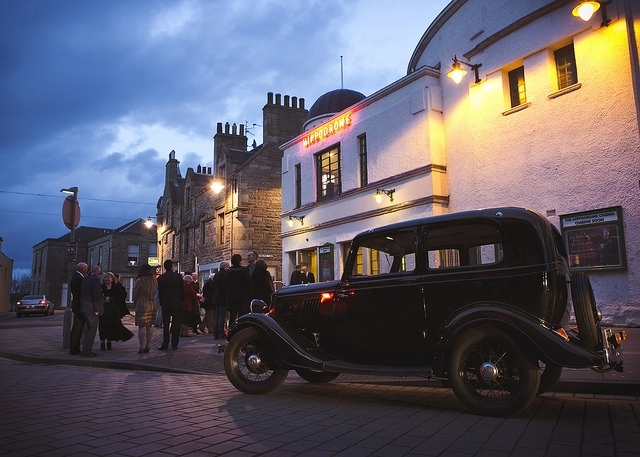 A stunning pre-art deco picture palace dating back to 1912, restored and operating once again as a cinema, with the latest projection and sound equipment, a friendly welcome, and screening the best major releases, independent films and classics. 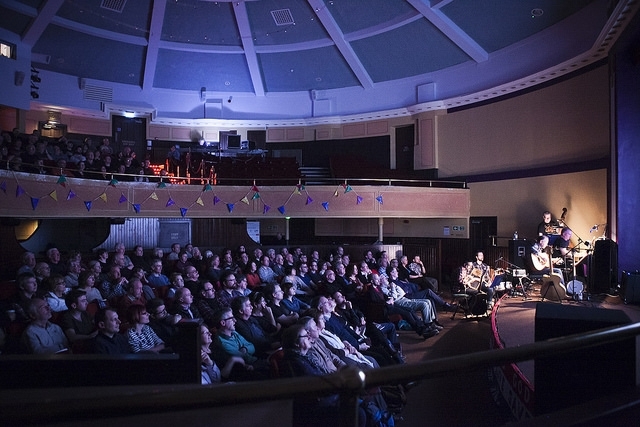 As well as a 6 day per week programme, we also organise regular special events, including Q&As, silent films accompanied by live music, specially curated archive film programmes, opportunities for local filmmakers to screen their films and many more. 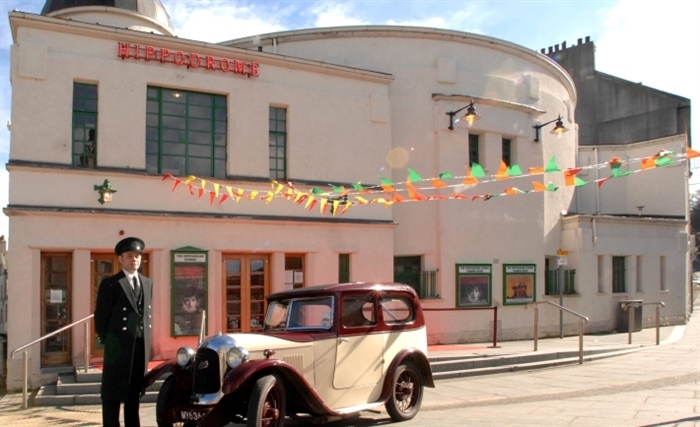 We're the home of the annual Hippodrome Festival of Silent Cinema in March each year. 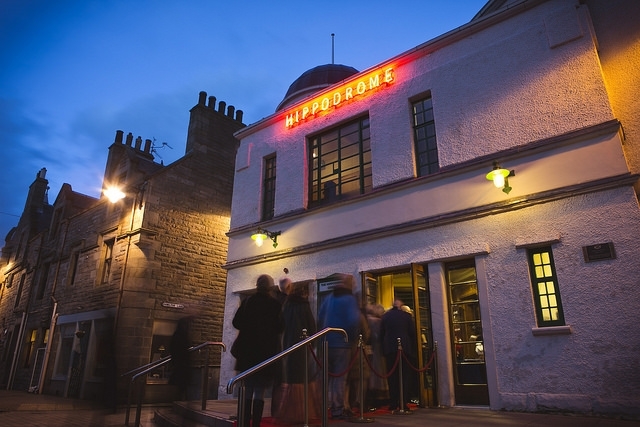 A long weekend of films from the pioneering days of international filmmaking, celebrating the Hippodrome's unique place in history as Scotland's first purpose built picture palace. 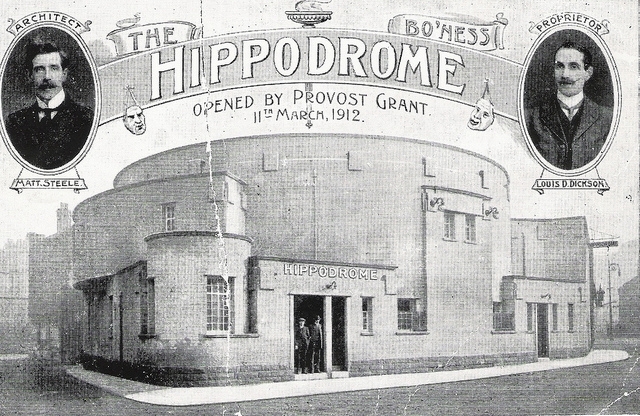 Each Saturday morning we screen a film for children (and their families), just as they did in the Hippodrome's heyday. During the early days of UK cinema it was possible for children to exchange an empty bottle or jar for their tickets, and four times per year we offer the opportunity to re-create this tradition. When we hold a "Jeely Jar Special" (jelly or jam jar) you can purchase 2 tickets for the price of 1, if you bring us an empty jar (with its lid). We use the empty jars for jam making in the working Georgian Kitchen of Callendar House in nearby Falkirk. Our weekly "cuppa" screenings every Monday morning include a cup of coffee or tea & cake in your ticket price and the mix of titles being screened in this slot include family blockbusters, fascinating documentaries, thrillers and comedies. The Box Office opens 45 minutes prior to each screening and on Saturdays 10.15am – 2.45pm. 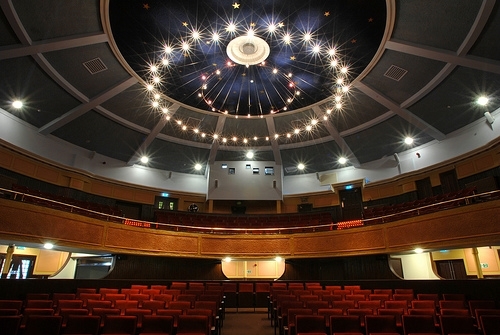 Booking outside this time can be made via the Steeple Box Office, High Street, Falkirk (01324) 506850.